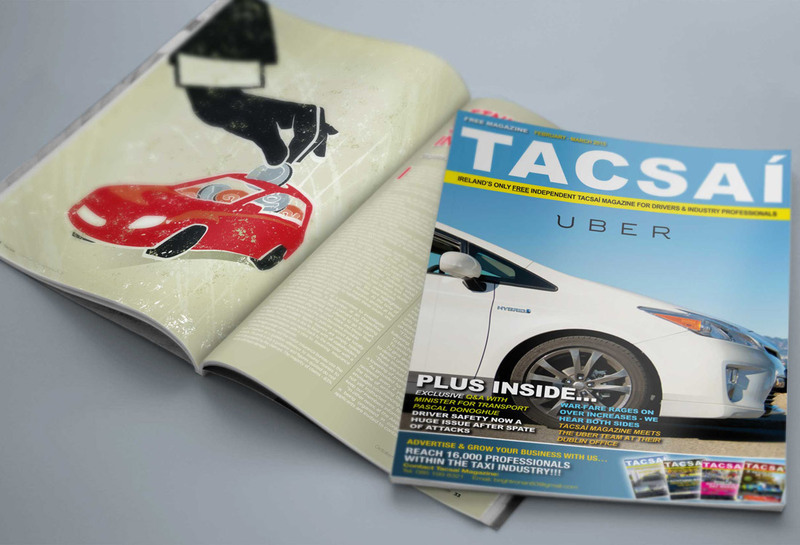 Tacsaí Magazine. 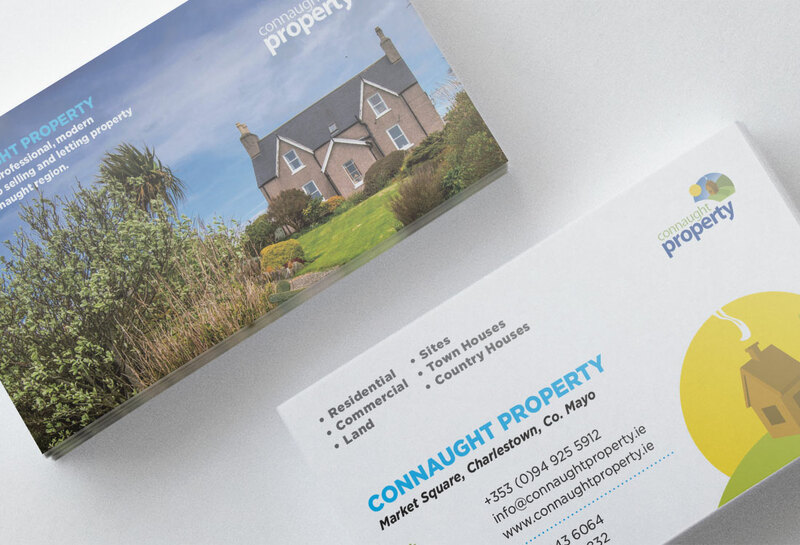 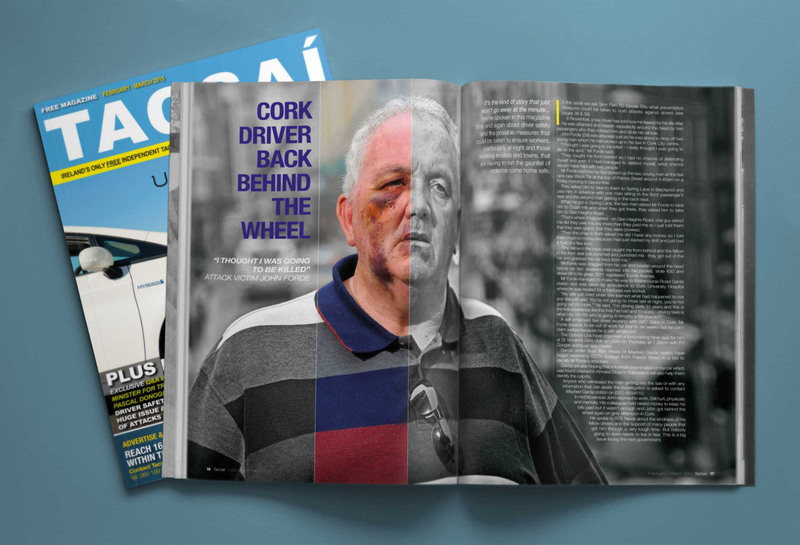 Patrick Browne Design was approached by Creative Top Publishing from Dublin with a brief to redesign one of their publications – Tacsaí Magazine. 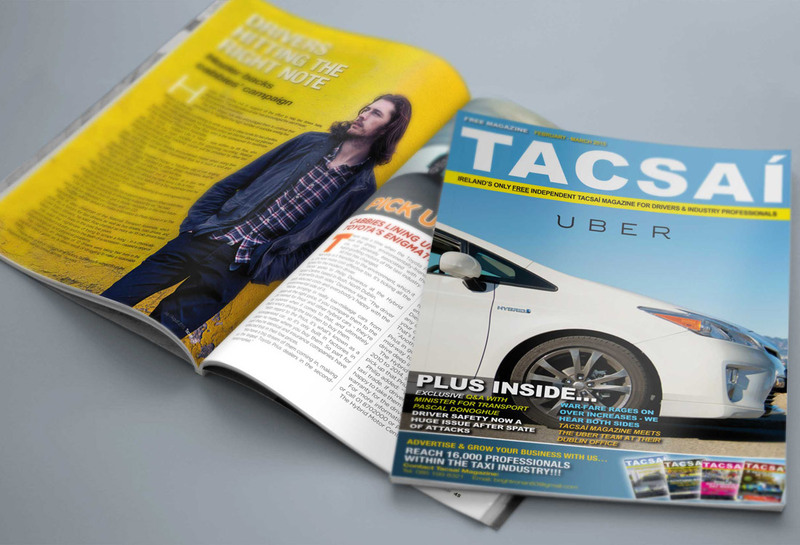 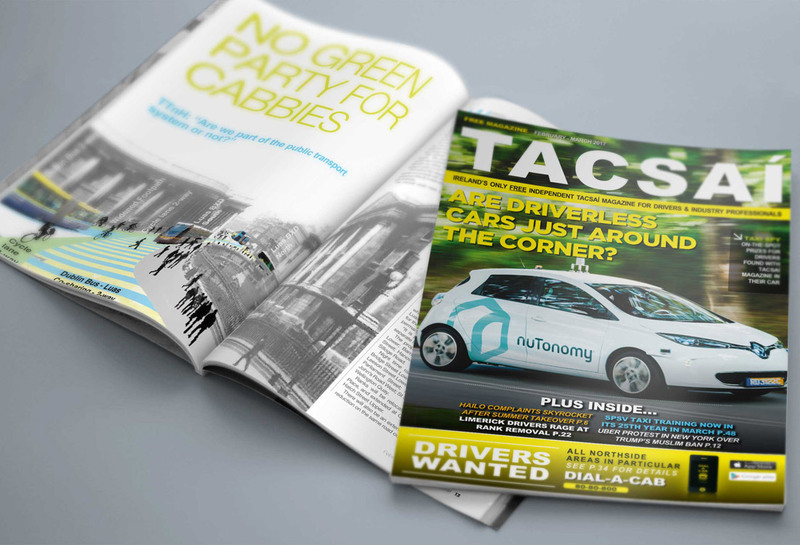 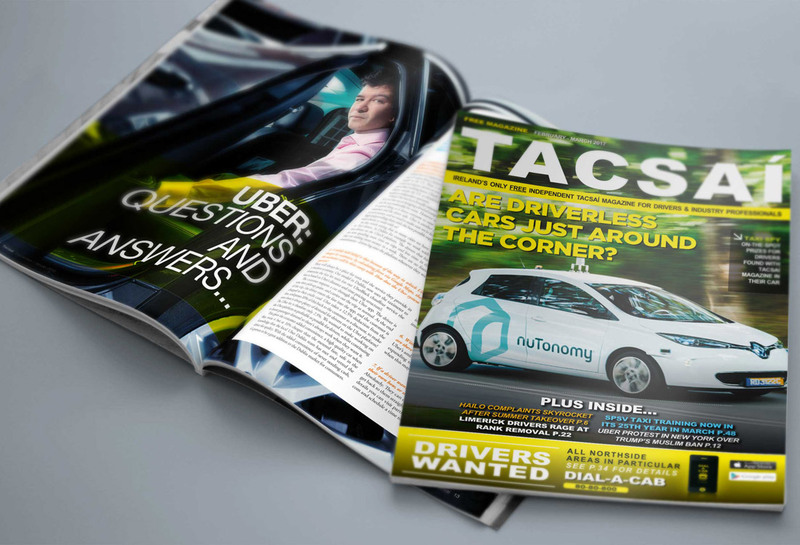 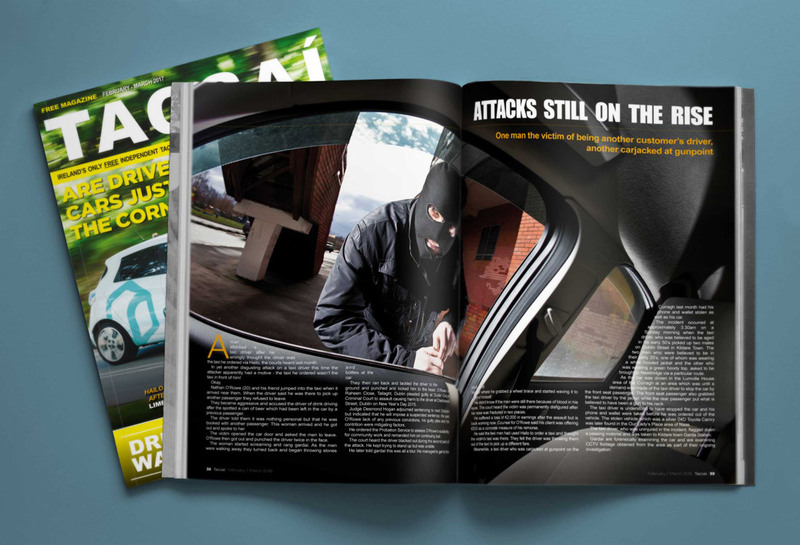 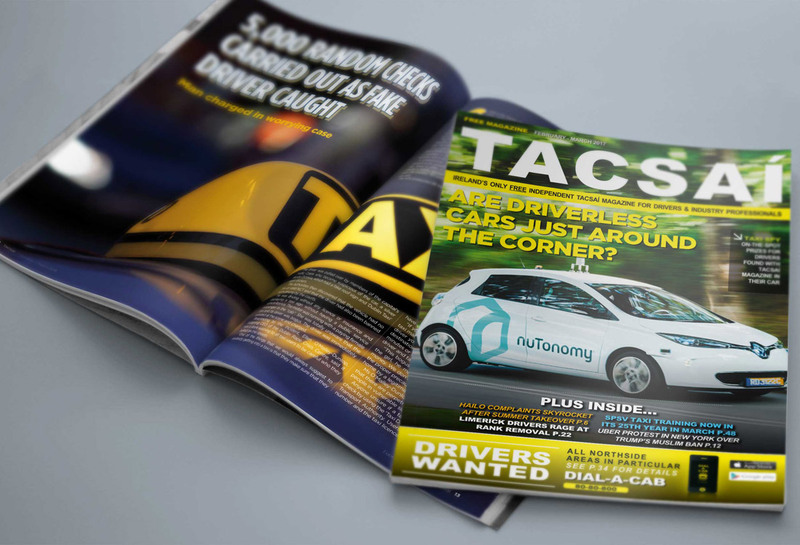 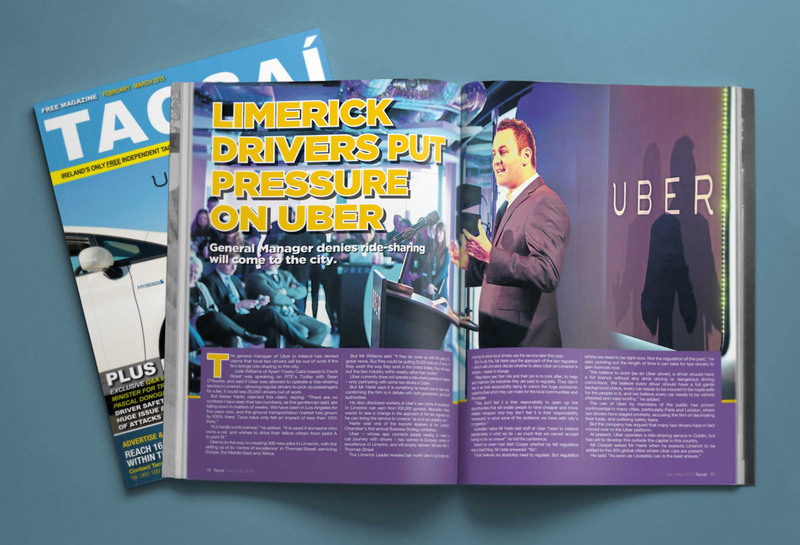 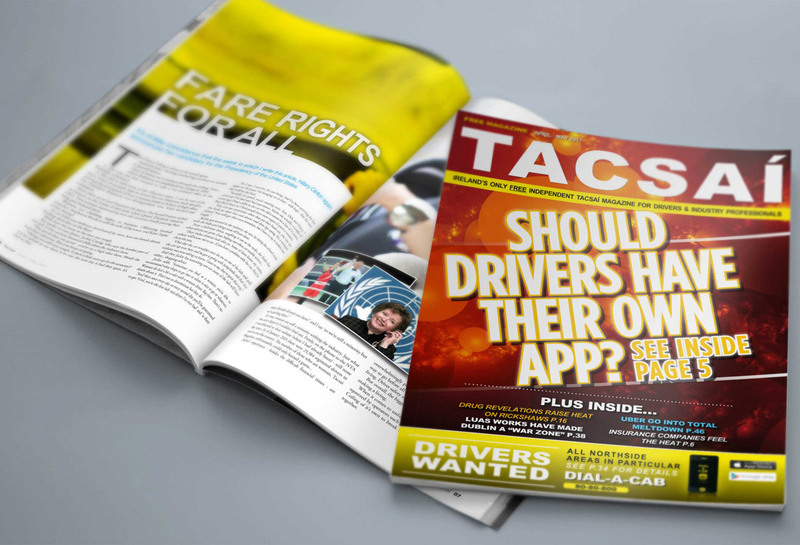 Tacsaí Magazine is a free, bi-monthly publication aimed at those involved in the Irish Taxi industry: taxi drivers, taxi & chauffeur firms, garages, car manufacturers, insurance companies etc. 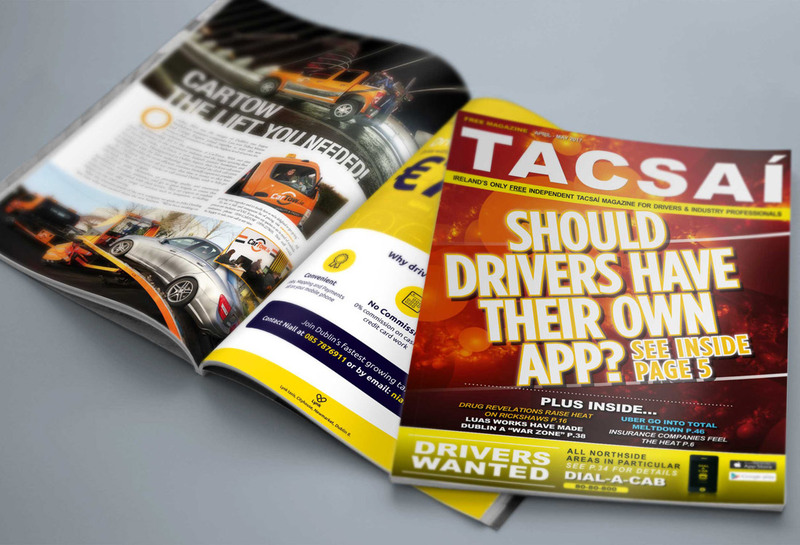 Magazine design is something we have a huge amount of experience with and we were only too pleased to get involved. 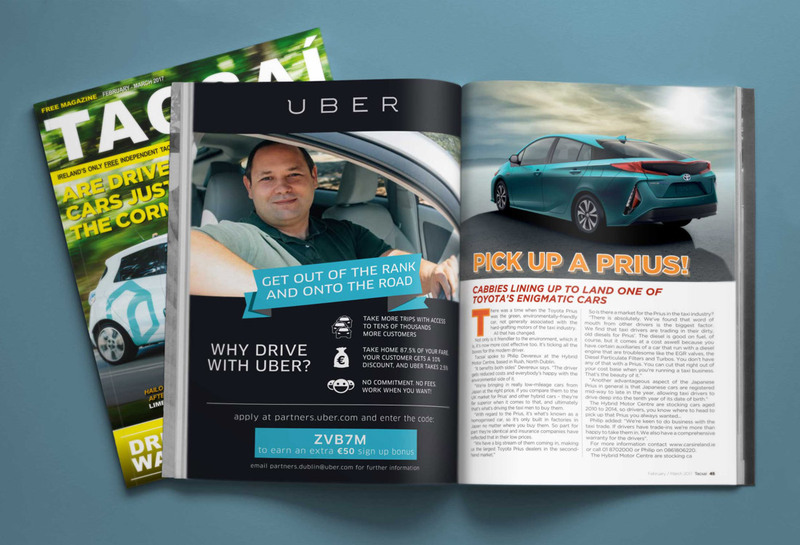 We updated the look and feel of the magazine, improved the editorial content and placed greater emphasis on the quality of advertising. 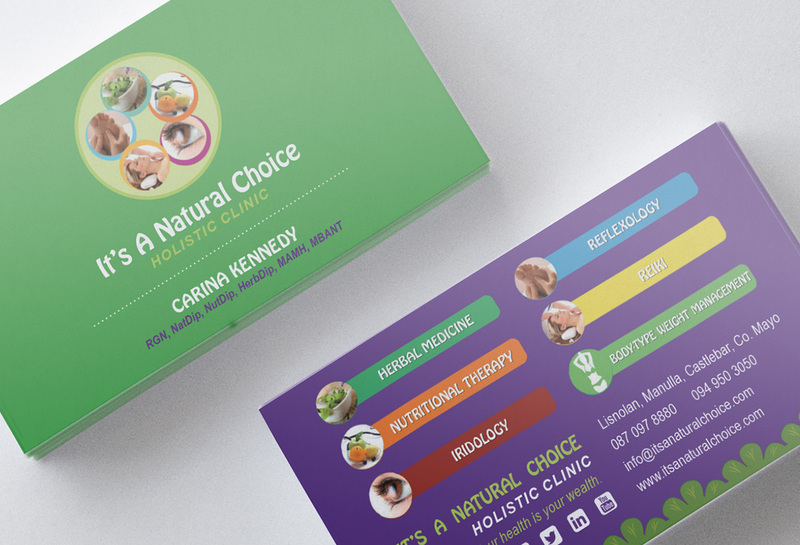 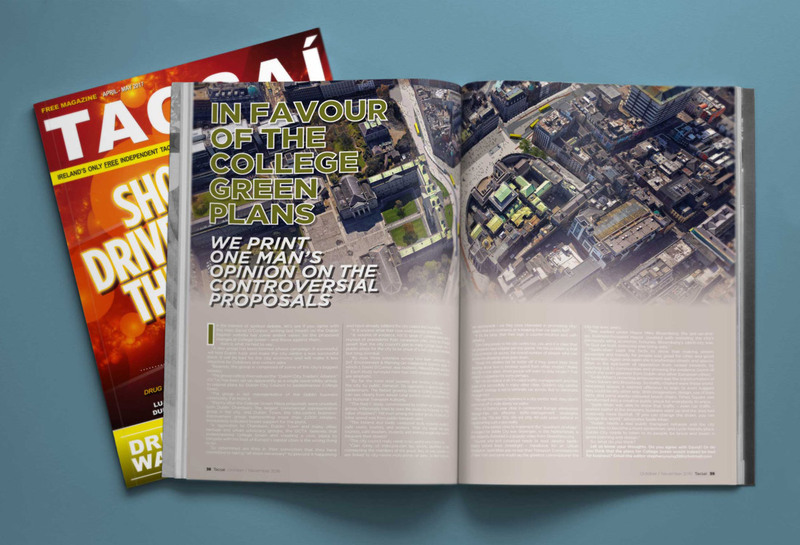 The result is a professional-looking publication with colourful, vibrant magazine design. 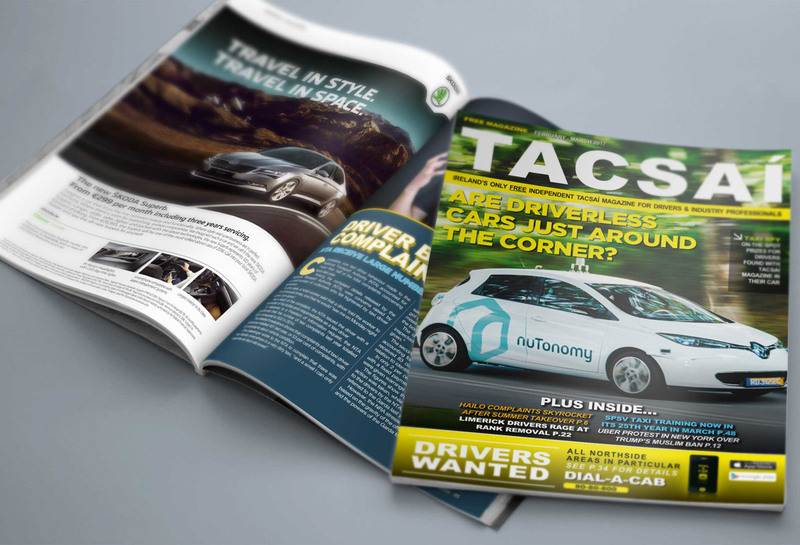 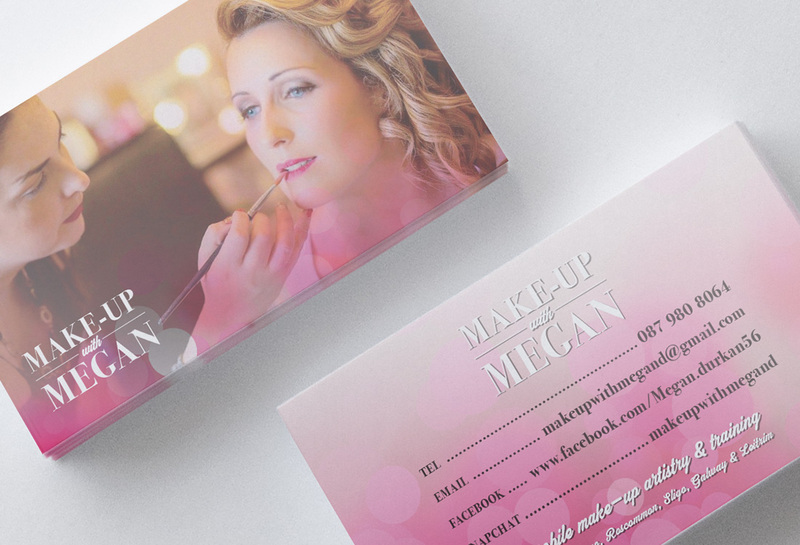 On a bi-monthly basis, we receive the editorial content from Creative Top Publishing. 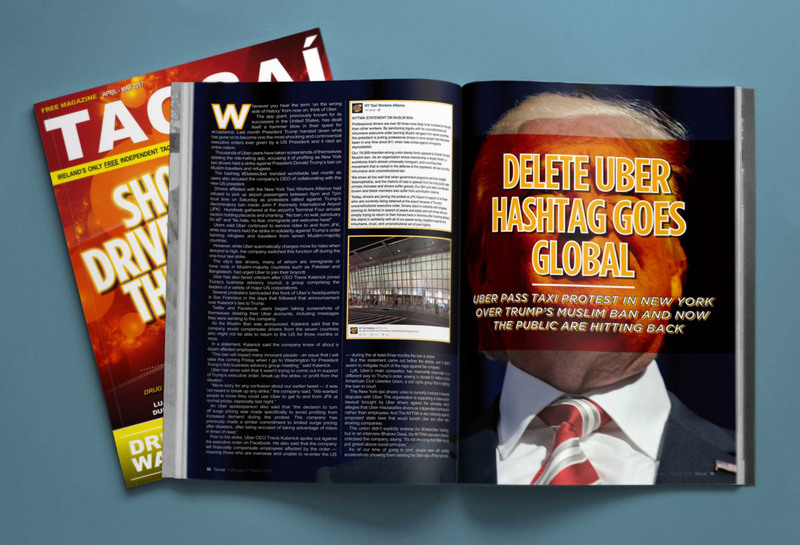 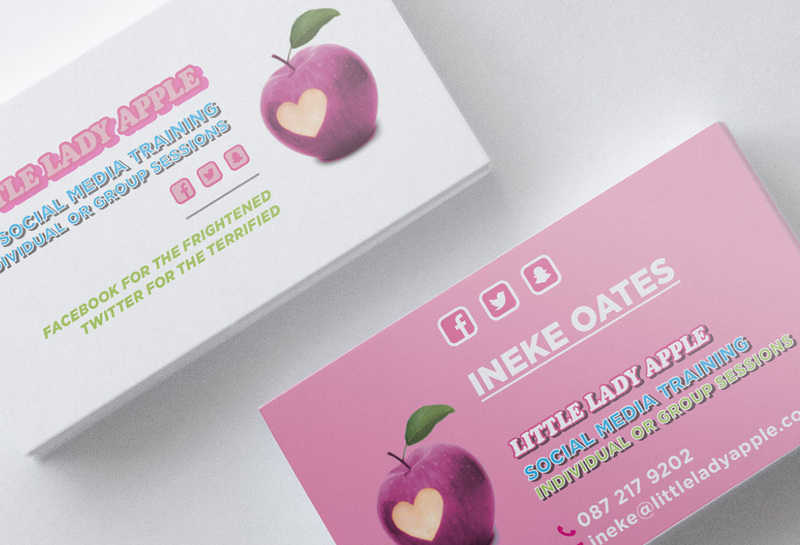 We then set to work to take care of the entire project including magazine layout, illustrations, photography, diagrams and finally, preparation for print production.